Whether used for rigorous, demanding training situations that require remote commands, or you’re looking to control your house pet’s destructive or dangerous habits, dog training collars can be effective tools for obedience training. 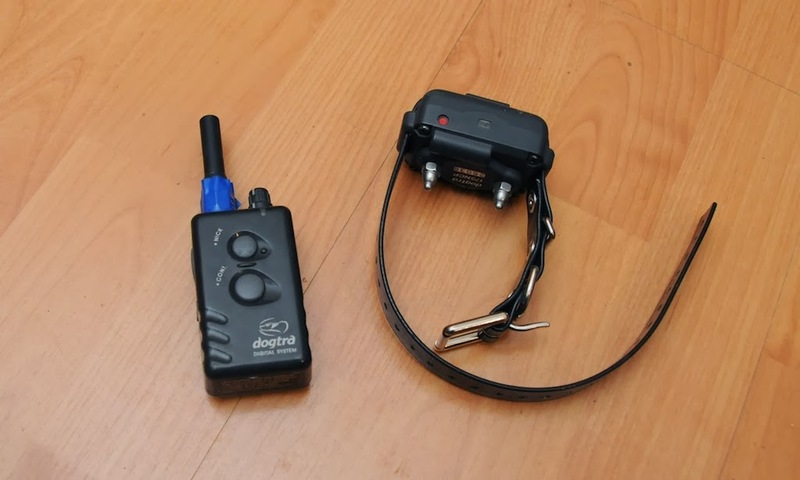 The Dogtra store offers e-collars with diverse features and a range of intensity settings, from no-bark devices to paired transmitter/collar systems that let you train your dog remotely. A refined stimulation control system ensures the exact level of correction needed, depending on disposition, breed, and training objectives. Rheostat intensity controls allow for infinite gradations of stimulation that can be adjusted on the transmitter device. Similar to a volume control system, intensity decreases and increases according to whether you advance or turn back the dial. This allows users to adjust levels gradually rather than skipping suddenly to a higher or lower level. However, collars with selector-style intensity controls are also available for those who prefer distinct settings to a graduated system. Units with low to medium power outputs are appropriate for dogs with milder dispositions. Lower powered units that have smaller-sized receivers are also suitable for smaller breeds and are designed for dogs weighing as little as 10 pounds. Low-to-high powered units can be used for training dogs with high tolerance or an especially strong prey drive and can be worn by dogs as small as 20 pounds. When choosing between a low/medium and a low/high unit, you should keep in mind that the lowest settings are always available, but you may find that you need more power as the dog matures or for use during critical training situations. Collars are available that feature a pager or vibration setting that provides a non-electrical warning to your pet. This can be a useful attention-getting tool for training dogs with mild dispositions. For maximum control, many collars can produce either a “nick” stimulation or constant stimulation. Nick stimulation is a brief, instantaneous electrical impulse, while constant stimulation persists as long as the button is held down. Short bursts provide an instant check on behavior, while constant output can be helpful for controlling stubborn dogs and handling demanding training situations. The Dogtra store offers electronic collars for short, medium, and longer-range training applications. Transmitters and receiver systems are available with ranges of 400 yards, 1/2 mile, 3/4 mile, and 1 mile. Most receiver units also feature Liquid Crystal Display screens for monitoring precise stimulation level; back-lighting allows for night time usage or low-light environments. You should be sure to find a system that has a waterproof receiver, particularly if you plan on using an electronic system outdoors. This will ensure your pet’s safety and prevent easy damage to unit components. Because dogs often plow through thick underbrush and plunge into unexpected places, it is best to have the most durable receiver possible, even if your pet is not an active working or hunting dog. It can be helpful for transmitters to be waterproof as well, especially if you will be hiking or engaging in rigorous training activities yourself. Whether you are trying to reinforce basic commands and behavioral expectations, or you need a robust, adaptable system for rigorous preparatory situations, there are a full range of electronic collars available for domestic and field training. Please feel free to contact Ella Gray with any questions or concerns at ella.l.gray@gmail.com.